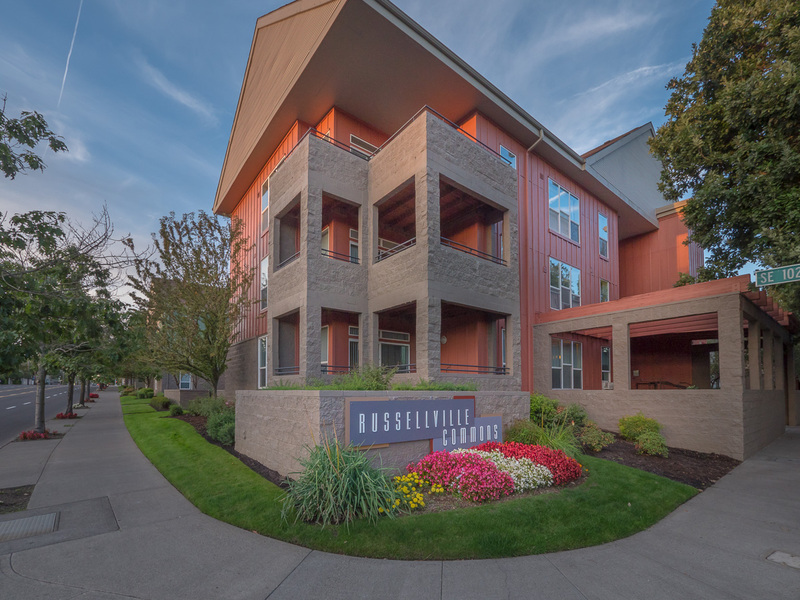 San Diego, Calif. – MG Properties Group, a private San Diego-based real estate investor and operator, has announced the acquisition of the Russellville Commons Apartments in Portland, Oregon. The 283-unit property was built as a luxury apartment community in 1999. Units average 875 square feet and include a mix of floor plans in both townhome and flat configurations. Russellville Commons features remarkable common area amenities, including a resort-style pool and spa, modern fitness center with a yoga room, and a resident lounge and business center. The property is located in Portland’s Gateway District, an emerging transportation-oriented neighborhood providing convenient access by car and light rail to multiple job corridors throughout the Portland metropolitan area. Russellville Commons was purchased for $57,850,000 from The Reliant Group, a San Francisco-based holding company. The seller was represented by Cody Hagerman and Tyler Johnson at HFO Investment Real Estate. The acquisition was financed with a 10-year fixed-rate mortgage provided by Joe Briganti at PNC Real Estate. Russellville Commons marks MG Properties Group’s seventh acquisition in the past year. The seven acquisitions totaled approximately 2,600 units and over $400,000,000 in combined purchase price. The company is targeting further acquisitions in Arizona, California, Colorado, Nevada, Oregon, and Washington. MG Properties Group is a privately owned West Coast real estate owner and operator specializing in multi-housing assets. Over the last 20 years MG Properties Group has acquired 90 communities with its private investors and institutional joint venture partners totaling nearly 18,000 units, representing more than $2 billion in total asset value, including 8,700 units at a value of $1.2 billion since 2010. The company’s current portfolio includes over 12,000 units in California, Washington, Arizona and Nevada. MG Properties Group employs 350 professionals with in-house expertise in acquisitions and underwriting as well as asset, property, construction and investment management. HFO specializes in multi-family investment properties, and passionately pursues client success through strategic collaboration. The company is known for its ability to attract the largest possible pool of buyers. HFO offers substantial no-cost client services, including complimentary industry-specific events, market news, and original video programming via HFO-TV. From its inception, HFO has operated in sharp contrast to most of its industry competitors, using intra-office collaboration to provide service to a wider range of customers, through sales velocity and loyal client relationships. Portland-based HFO was founded in 1999 and to date in 2015 has been involved in the sale of thousands of apartment units. Learn more at www.hfore.com.